When buyers of both new and used Mercedes-Benz see a bad Carfax or Autocheck vehicle history report showing that the vehicle underwent prior collision repairs, well, most of them simply walk away. How is a buyer to know whether the car was repaired properly? The buying public could depend on a new or used car dealer’s word on everything but, in reality, they don’t. The only alternative to their purchasing an Mercedes-Benz that has suffered diminished value is just that, they will seek a lower purchase price for the car – taking advantage of what is otherwise known as Automobile Diminished Value. So a Mercedes-Benz dealer or other used car dealership can’t realistically offer to buy your Mercedes-Benz or take it in trade for its pre-accident worth because they have to sell it for less. Some Mercedes-Benzs, of course, like the AMG series will always be desirable which means they won’t suffer as badly in the automobile marketplace. 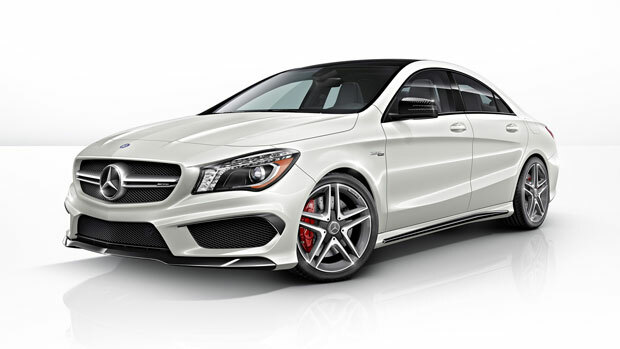 As a Mercedes-Benz dealer or owner, are you entitled to recover this lost value? The answer is yes as long as the damages were as a result of someone else’s negligence. The St. Lucie Appraisal Company prepares expert automobile diminished value appraisals every day and invite you to become our next satisfied client. We determine a vehicles diminished value by obtaining the opinions of six sales managers at recognized Mercedes-Benz dealerships. There is sometimes a wide range of difference in the fair market values from the six Mercedes-Benz managers. It is noteworthy that we, as appraisers do not “cherry-pick” only the highest values favorable to the case. The inclusion of all values and averaging them together makes for a very resilient market value for the vehicle that does not depend on a single estimate or a single opinion and results in a very accurate and defendable Diminished Value for the vehicle. Please read our informative Q & A site about Automobile Diminished Value. Please take a look at what our customers have to say about our services. We are happy to answer any questions that you may have. Diminished value is a fairly new concept that most people don’t know about so feel free to go ahead and ask us. Click on the payment button above to pay by Credit Card or Paypal. The fee for an Automobile Diminished Value Report is $275.00.You may also make your Credit Card Payment by telephone, call 772-359-4300. This entry was posted in MERCEDES-BENZ DIMINISHED VALUE and tagged 2016, 2017, 2018, appraiser, auto, car, dealer, diminished value, loss, Mercedes-Benz, MERCEDES-BENZ DIMINISHED VALUE AFTER COLLISION REPAIRS, new, St. Lucie Appraisal, used, value by stlucieappraisal. Bookmark the permalink.